Who is Jean-Claude Biver, for real? 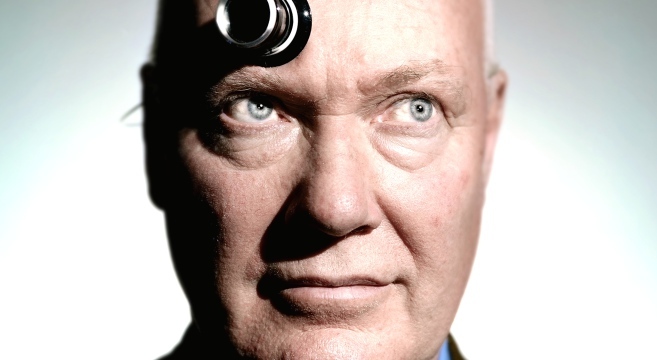 Everyone (almost) knows – or has heard of – Jean-Claude Biver, emblematic figure of Swiss Fine Watchmaking industry. An expert in management and marketing who hauled Blancpain, Omega and Hublot amongst the most skilled and experienced master watchmakers in the world. A businessman and a charismatic entrepreneur who greatly contributed in making Switzerland become a world leader in the watchmaking industry. A wealthy man opening offices and shops restlessly. An unconventional, recognized and admired entrepreneur. A man honored by so many titles and prizes that his CV very much looks like a phone book. 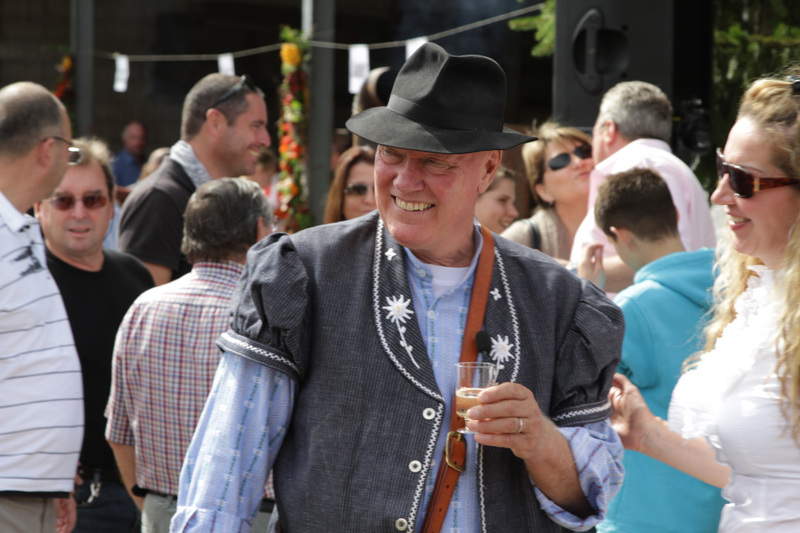 But do you truly know Jean-Claude Biver, the indefatigable defender of craft and passion, the guarantor of an heritage and ancestral Swiss know-how? Do you know this humanist, who strives to reward talent rather than profitability? Do you know the farmer-cheese-maker, who pampers each and every one of his cows, to make one of the most delicious Gruyère of Switzerland? Do you know the fundamental promoter perpetuating the art and tradition of mechanical watches? His incredible career path and his strong personality are the underlying reasons under the many epithets and the beyond-honorary labels given in the name of Jean-Claude Biver. Behind all these titles however, hides before-all, a man absolutely fascinated by the Swiss know-how in the watchmaking industry. A human close to its peers, who knows how to give and reward. A proud man, in love with Switzerland, his adopting country, for which’s values he intends to stand up. All in all … a good Swiss folk! Rostigraben attempts to highlight the lesser-known face of the “most essentially Swiss of all franco-luxembourgeois-citizen”. Born in Luxembourg, Jean-Claude Biver is only 10 years old when he lands in Switzerland. After graduating from HEC Lausanne, JC (as we shall refer to Mr. Biver) settled on the shores of Lake De Joux. It’s in this nest of Swiss luxury watchmaking that his passion for mechanical watches grows and leads him to spent a year between the walls of Audemars Piguet, the factory of Haute Horlogerie of the Vallée de Joux. ￼Amateur catapulted into a world of experts, JC soon realizes that he must understand the philosophy of craftsmanship, in order to become one with this universe of technics and precision. Indeed, creating mechanical watches, before being a business, is first of all a passion and a very demanding expertise. His very first year of professional experience turned out to be closer to the School Of Life in itself, rather than anything else. In the late 70’s, the quartz watches become popular, and most of what floods the markets is made in Japan. Neglected by the general public, the Swiss watchmaking industry hits a crisis. It massively lets go of its craftsmen, and fails to provide a ‘next generation of Swiss watchmaking masters’. Although facing this modernized tidal wave, JC decides to swim against current. Teaming up with his friend Jacques Piguet – director of the manufacture movements F. Piguet – they buy Blancpain and come up with one of the most famous punch lines of the watch-making industry ever: “Since 1735, there has never been a quartz Blancpain watch. And there never will be.” – Boom! Horatio better watch out! Choosing not to line up with this new market, JC prefers to bet on the good old methods. He wants to recapture the mechanical watch’s essence and its craftsmanship, and fights for the very honest survival of an art threatened by modernity. Ten years later, Blancpain made 11 million profit a year. Building on the success of its antagonist strategy, JC was approached by another close friend, Nicolas Hayeck – the CEO of Swatch Group – who asked him to bring Omega back to its glorious days. An opportunity for JC to turn the Swiss jewels into a “must have” for celebrities. Cindy Crawford, Michael Schumacher, Neil Armstrong, … everyone started carrying an automatic Omega; even James Bond! Through the work of JC and all of the employees of the factory, Omega makes over a billion in sales by the late 90s. In 2003, JC took on a new challenge by taking over the management of Hublot, which quickly became a laboratory of the most innovative ideas. Always build based on traditional methods, Hublot watches are being pampered new materials such as rubber, titanium or carbon. New techniques, among other tricks, allows to make gold – when fused to ceramics – scratchproof! Not bad, just had to casually think about it, right?! Here again, JC held an important position in the building yet another watch-empire, which is worth hundreds of millions today. ￼If the automatic watches JC stands for are so successful, it’s because they surely fascinate as much as they intrigue. They are secret, since they don’t reveal their mechanism. Here is where lies the enigmatic and, above all … the dream! That’s something JC has crystal-clearly understood, and keeps on cultivating, to our greatest enjoyment. So, JC, or… Mister Biver, considering all of your experience, towards what direction do you think Switzerland should move forward? “Before all, I wish for Switzerland that we keep supporting entrepreneurship. I wish that we continue to encourage its emergence and success through experience, training and freedom of work. I wish that our schools can continue to receive adequate budgets, in order to have the best education at all levels. May they remain part of the best universities in the world. May our administration be flexible, lightweight, fast, agile. May our tax system adapts and modernize itself to meet the needs of entrepreneurs and other competitors. I wish that peace labor and cooperation between employers and trade unions can be resolved through consensus. May Switzerland and its citizen be aware of their “Swissness” and of what makes up for the recipe of the nation’s success’s. May the Swiss citizen be proud of being Swiss, and sometimes different from other countries. Jean-Claude Biver, thank you for this preciously marinated advice. 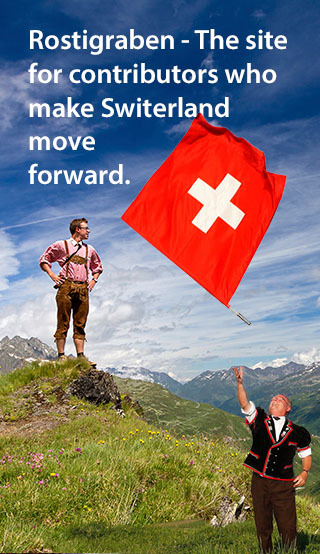 Your wishes aren’t falling into deaf ears, as they directly address the Rostigraben community, striving to make Switzerland move forward!